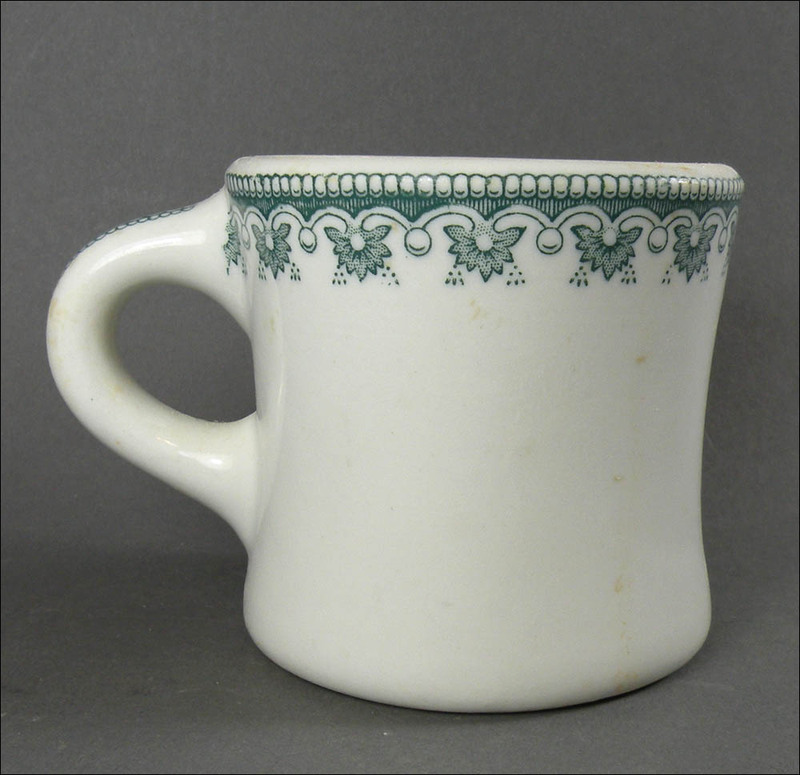 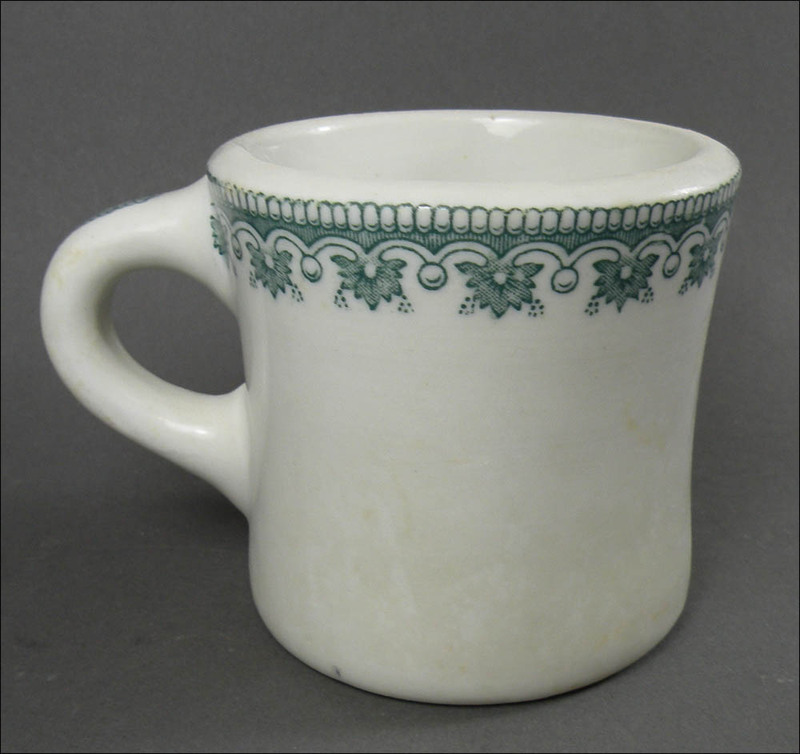 This is a pair of JaXon mugs (sold individually) in Underglaze Print Decoration #134, found in the company's first 1916-30 catalog. 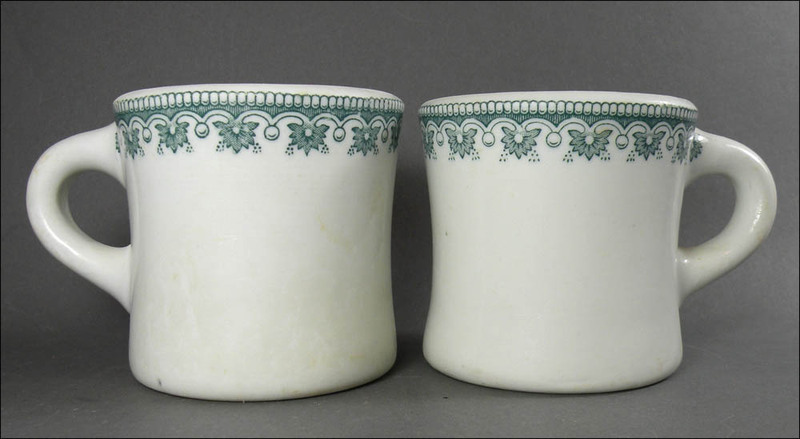 They are heavy; one weighs around 1 pound, 6 ounces! They both have heavy wear, resulting in almost a satin finish as opposed to a glossy glaze. 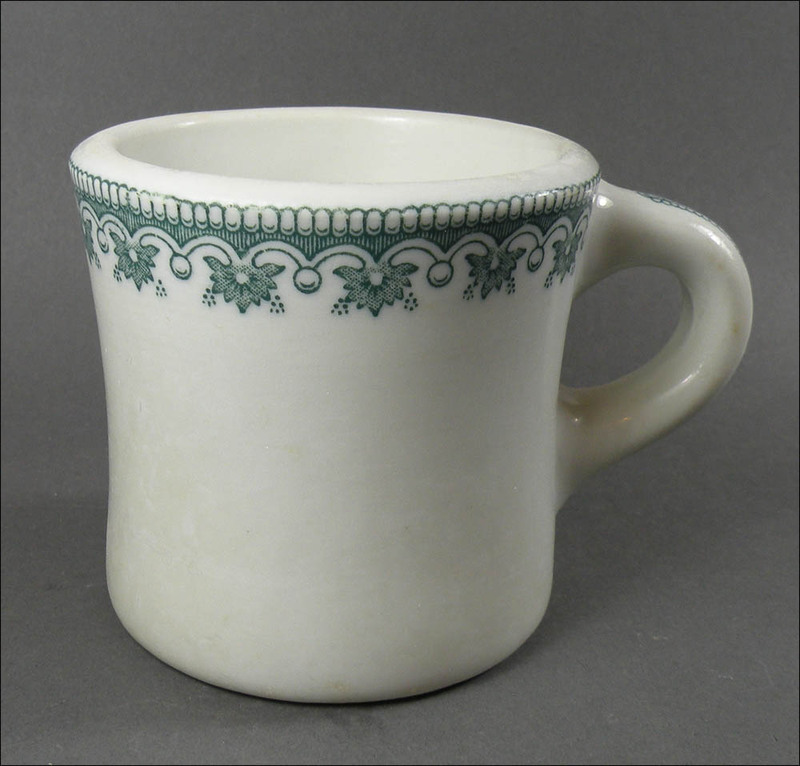 You'll find discolored manufacturing creases - not cracks - in the bottom of both mugs. And they have a few glaze skips and minor glaze drips. They are beautiful! The mugs are approximately 4 1/2 inches wide, including the handle, by 3 1/2 inches high. 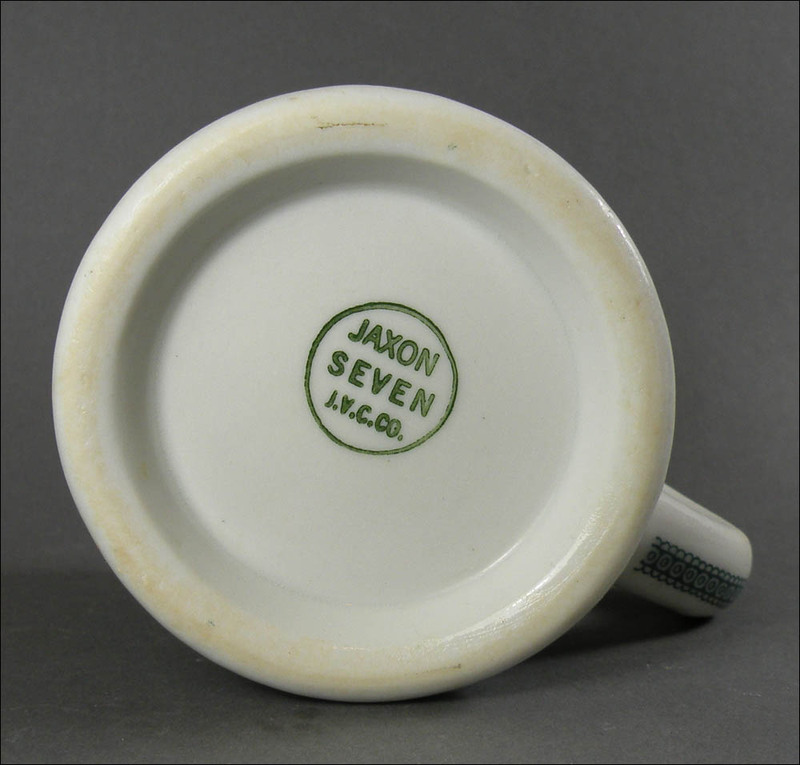 To explain the backstamp, the JAXON SEVEN refers to the amount of liquid it was made to hold: 7 ounces. 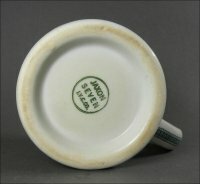 The initials J.V.C.C. 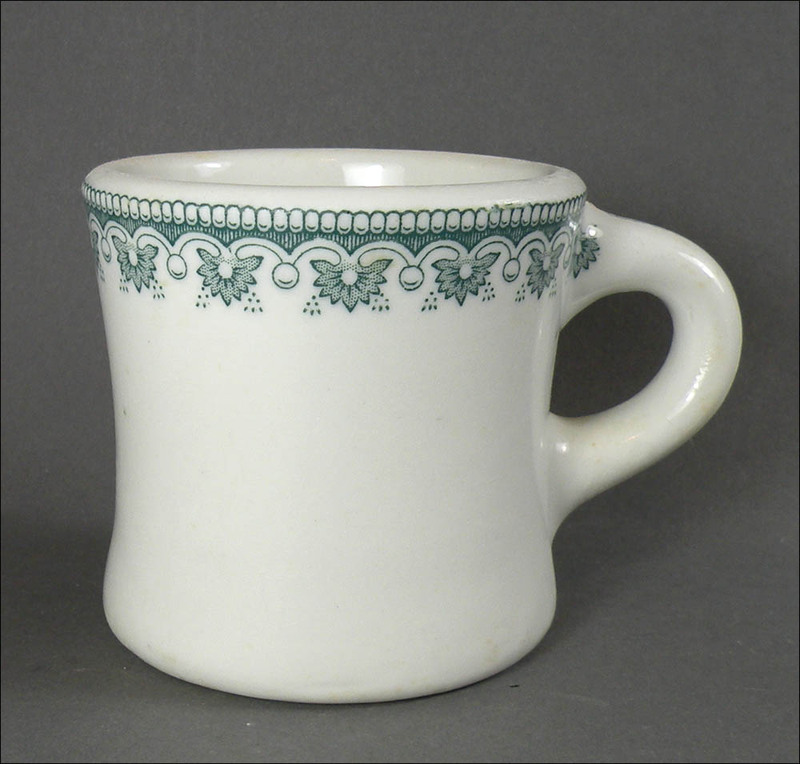 stand for Jackson Vitrified China Company. 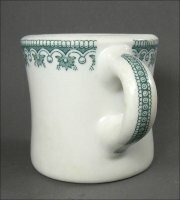 Both mugs are very similar in condition. If you buy one, I'll send you the one that seems to me to be in better shape.